Letter to David Miller & Bill Blair: Protesting Treatment of G20 Protestors, Copy, Sign, Send! Mr. Blair is mistaken. I do not condone the crimes committed by vandals during the G20, nor do I advocate for anarchists, but I have lost trust in Chief Bill Blair and the officers under his command for as long as he commands them. The public outrage over Bill Blair’s lies to the public and the disgusting suspension of Charter rights and freedoms he and his forces perpetrated on peaceful demonstrators will not soon be forgotten by the people of Toronto, and indeed by the people of Canada. Mr. Mayor, if you continue to support Bill Blair and his actions, then you continue to support an officer of the law who has admitted to lying to the public about police authority, and whose actions and behaviour not only contravened the Charter rights of the citizens of your city, but whose smug, dishonest and spiteful action since then have been an insult to every citizen of this city. In doing so, Mr. Mayor, you also betray the trust of the people of this city. I got in the Newspaper! Thanks to the Seattle Times poetry editors for listing Occultations as one of the few titles they list, er, weekly, I think? Anyway, 15 min of fame is now--check. And also to Christian Peet for backchanneling me on picking it out of the Tarpaulin Sky pile and giving it a read-thru. A slog, as they say. I say. For more details, and to register, looks like you have to grab a PDF of the catalog at this link, where there’s also a number to call . ... a poetry action in response to the BP Gulf oil disaster of April 20, 2010, one of the most profound man-made ecological catastrophes in history. Former US poet laureate Robert Pinsky describes the popularity of poetry after 9/11 as a turn away from the disaster’s overwhelming enormity to a more manageable individual scale. As we confront the magnitude of this recent tragedy, such a return may well aid us. The first law of ecology states that everything is connected to everything else. An appreciation of this systemic connectivity suggests a wide range of poetry will offer a meaningful response to the current crisis, including work that harkens back to Hurricane Katrina and the ongoing regional effects. There are very good resources, links to online activist networks, organizations, etc., on the main page. Related, Nicky Tiso, a former Evergreen student, now just graduated, also has some poems at Poets for Living Waters. His essay on ecocriticism and criticism of ecocriticism is over at (his) Grand Hotel Abyss and, I think, really worth taking a look at. Last, but certainly not least, woke up this morning to see that Chris McCreary's new Undone: A Fakebook (Furniture Press), has been reviewed over at Silliman's Blog. McCreary's poetry I love, tho not just because we both tend towards what Silliman describes as "neo-objectivism" and also "New Precisionism," the latter I think sounds right to me. It's the sonic play and the socipolitical lens of the Now Here, a presentness and urgency, that gets me. Anyway, check-it-out. TOMORROW: Elliot Anderson's "The Monuments of Silicon Valley"
The Nonsite Collective welcomes you to join us this Saturday, June 26th for the first of a suite of summer events constellated around the notion of the commons. Reading from Robert Smithson’s The Monuments of Passaic, New Jersey Elliot Anderson (UC Santa Cruz Professor of Electronic Media) invites participants to formulate questions that interrogate the Superfund Site as monument and commons. To locate the text in the contemporary landscape Anderson will screen images from his project The Monuments of Silicon Valley. He writes, "On Saturday, September 30, 1967 Robert Smithson travels to the post-industrial lands along the Passaic River in a mytho-poetic search for entropic monuments of the late 20th century. The Monuments of Passaic, New Jersey is a testament to an irreversible ahistoric future. The 21st century has its own monuments dedicated to waste and decay. Contemporaneous with Smithson’s expedition Silicon Valley was erecting its monuments to a future technologically determined entropic panorama. Monuments constructed as ruins of an absolute obsolescence." Please join us at the Kala Gallery (1060 Heinz Avenue, Berkeley) this Saturday at 2pm for what promises to be an enlightening conversation! Since I, too, have have lived in that upside-down world that causes one to have to "explain" one's sense of the terms "justice," "fact" and "human," why such terms and others have such a distant connection to most Americans' sense of these terms; since I've also been thrust into a weird world where one is forced into bafflement and continual horror at our legal system, and by extension our complicity; and since "I too" is a phrase used so often--there are so, so many of us out there--I figured I'd pass along Christian Peet's recent and annual blog post marking the anniversary of the homophobic / horrific story of his cousin's prison sentence (and hour long trial), who was wrongfully incarcerated in 2005, in part, it now seems, as a result of his sexual orientation. Many of you in the poetry world know this story, but some of you don't. Either way, too close to my sense of the world, which is Christian's, as to want to really think or write much about it, I can't do much more than pass along the links above. Beyond the story itself--which beyond being exemplary of so, so many similar stories--it is, after all, in regard to a human being out there (in there). And, also, the site expresses this by offering us a wealth of online resources in relation to reform of the "justice" system, the penal system, and LGBT rights. Just uploaded an entry on "Body" for Nonsite Collective & its growing list of glossary entries, where terms are defined, undefined, mixed, remixed, and so forth--a process of continual making and remaking going on here, as on the site (purposefully communal) generally. This comes on the heels of Occultations, a "project," in some sense, of commoning a body--mine--and of archiving. Hence, these are proceeding questions, or questions that spider out in light of various somatic practices that include enactments of language. It's a coming back to (for me) not just "the politics of" but "political action towards." It also comes prior to a reading & talk for Nonsite I'm giving as part of the summer series of events: July 24-5. As part of a process of re-engaging with a kind of activism, I'm interested to hear from any of you about what you take "the body" to mean. What can the term come to mean? Please bring it on, either here or via email backchannel. Relatedly, check out David Buuck's "novelisations," specifically his body pressure somatic, or procedure. Video. Excellent. Just a quick note: Matthew Landis, member of the New Philadelphia Poets (a pretty fabulous collective of socially concerned poets), just reviewed Occultations in this latest issue of Jacket, No. 40. First, a heartfelt thanks to Matthew, who I only know thru his very good poetry and criticism (check out a longer cycle of poems in the latest Critphoria, or his new chapbook, or critical work online). The review, like many reviews in Jacket, tho rarer elsewhere, is explorative and generous, doesn't focus just on the book but contextualizes it within contemporary poetry, poetics, sociopolitical landscapes, and thus goes more macroscopic. And I really like how Landis reclaims meaning-making in it, doesn't give you too much analysis (both as a reviewing convention and as a counter-move to his sole complaint about my book--the procedural notes at end). Instead he lays out a poetics and overall arc that I think is rather spot-on--especially as he begins discussing the body as tool of power, i.e., thru Foucault & biopower. Ok, so I'll stop here and just say thanks--lest I begin reviewing the review, which, come to think of it, might not be a good concept at all for a future anthology. Do read the rest of the growing issue, the last until (the irony wasn't totally lost on me) the journal itself moves over to Philly: work by Michael Cross on Scalapino (amazing), reviews of Nicole Mauro's latest, a fantastic Silliman feature, work on Elrick (by yrs), etc etc. Big, full, juicy. Also, re Occultations, another thanks to poet-editors Elieen Tabios & Reb Livingston. Tabios listed Occultations as "recommended summer reading" on the No Tell Motel blog, which, as usual, is featuring a process whereby contributors spread word about acts of poetry that otherwise might go unnoticed. The lists are varied and really helpful. Or unhelpful when you are busy and want to read poetry but are busy laboring at other things. But helpful, very helpful. Helpful for us at some point, in the moments we can get our hands on our own and each others' affective labors. Thanks much to both. There will be a wine and cheese reception to follow. Directed by Fiona Templeton, with Katie Brown, Stephanie Silver and Julie Troost. Dance by Molissa Fenley. Music by Joan Jeanrenaud. Projected drawings by Eve Biddle. Cosponsored by Belladonna and The Poetry Project. Having just gotten back from a Bard College faculty meeting, now having gotten to some baseline of health (i.e., returning to a point at which I can concentrate enough to write, work on matters that require me to be at the computer, etc), I'm engaging with the world beyond teaching for the first time in what seems like months. 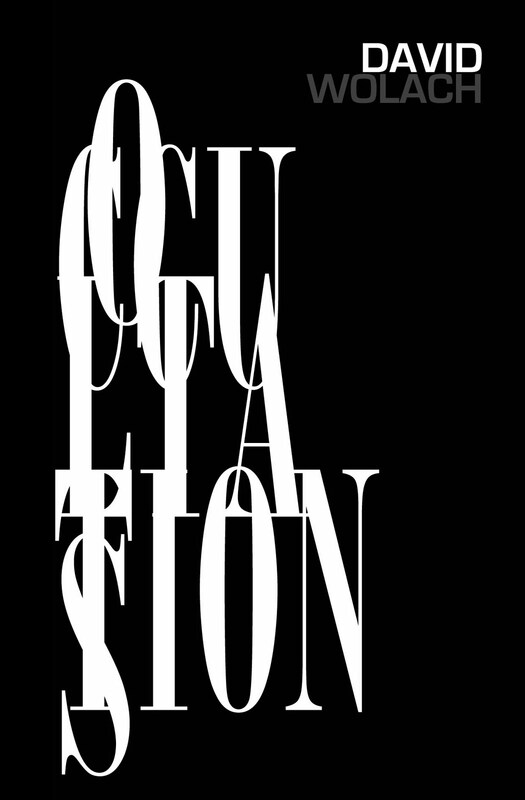 And I just found out that my book, Occultations, is out! A nice way to get crackin'. I want to thank SPD for carrying and recommending Occultations, and Black Radish Books for publishing it, and all those, including blurbers, who helped make the book happen (Joan Retallack's new book is also among new SPD releases this month). I received my contributor copies around the same time--a week ago--that SPD did. Really happy with the cover, designed by Susana Gardner. So, do feed a hungry poet and get your copy. Oddly, they are selling. So, there's forty-something left. And if you desire to review it, let me know and I'll send you one. Thanks also to Ron Silliman, Galatea Resurrects, and Tarpaulin Sky Press for giving the book a shout-out. And, of course, to the couple of folks I know who are reviewing the book. And last, to Michael Cross, who not only made a really hot flier for the Nonsite Collective Summer suite of events, one of which is a talk I'll facilitate in July, but for also giving a shout-out on his (very good) blog. Now recovering, I have 5 pages of emails to respond to, along with a ton of back work in the form of end of semester teaching duties. So, short and sweet. Enjoy the book. And spread the word? ps: do read Black Radish Book editor Nicole Mauro's really good review of Ana Bozicevic's TSP book (an amazing book on which I wrote a few months ago), Stars of the Night Commute. It's in this (No. 40) Jacket Magazine.